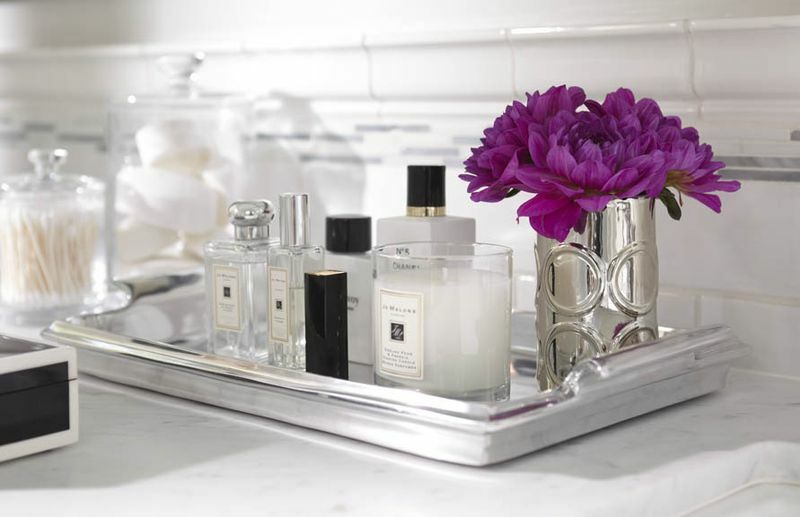 I have always liked the idea of having a tray to store all your perfume and pretty things. 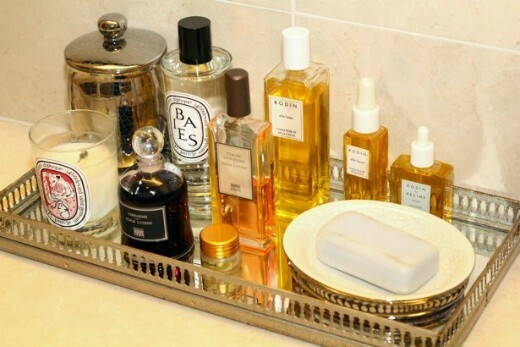 When I have a bigger place I'd like to add a vanity table to my room. Since moving out to the wild west I have been pretty tame with my apartment so this time around I'd like to change things up a bit but still keep it neutral for my boyfriends sake. 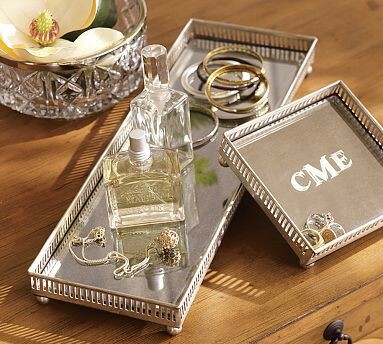 Do you like the idea of a perfume tray? I'd love to get a vintage mirrored one! Also if you haven't done so already..follow me! It only takes a few moments and it would do wonders for my little blog! 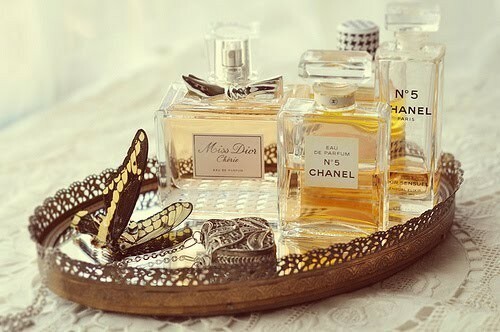 I really wish I had enough perfumes to make a perfume tray but it's a goal of mine to have one! Hey ladies! 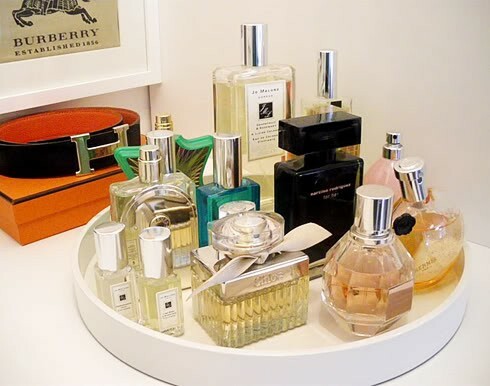 I'm slowly growing my perfume collection! Thanks for stopping by! I'd love it if you girls can follow me! I just checked out your blogs! love them! I'll follow!